SEOUL, Dec. 5 (Yonhap) -- South Korea has taken a historic leap forward in space technology in the past few days by successfully launching a locally developed rocket engine and placing two satellites in orbit, observers here said Wednesday. Possessing the know-how to independently build a space launch vehicle and satellites is seen as a key prerequisite and is considered the most significant milestone for future growth, experts stressed. "Three goals toward further utilization of space were achieved this year," said Lim Cheol-ho, director of the Korea Aerospace Research Institute (KARI), referring to the successful blastoff of a thrust engine followed by the launch of a small satellite for space observation and a weather satellite. On Nov. 28, the country tested the 75-ton thrust engine that was launched from the Naro Space Center in Goheung, South Jeolla Province. The launch places the country closer to the full-fledged development of its first space launch vehicle. The rocket engine, designed and developed by KARI, will be used on the three-stage Korea Space Launch Vehicle-2 (KSLV-2) currently under development. It is scheduled to blast off in 2021. The engine is considered a core technology behind the KSLV-2, which would make South Korea the seventh country in the world to build a space launch vehicle with homegrown technology. In addition to the United States and Russia, five countries or international agencies -- the European Space Agency, China, Japan, India and Israel -- possess launch vehicles. So far, South Korea has depended on foreign commercial launch services to put multipurpose or other kinds of satellites into low orbit. "It is a critical step as the development of the space engine is considered a core technology and the most difficult test for the development of a South Korean launch vehicle," ICT Vice Minister Lee Jin-kyu said. Meanwhile, ten countries -- the six aforementioned nations along with the Ukraine, Israel, North Korea and Iran -- currently have the technology for such rocket engines. "There have been so many difficulties in developing the engine, but we were able to solve all of the problems as our technology level is high enough compared to other developed countries," Yim said. The critical rocket motor burn time was maintained for 151 seconds, surpassing an initial goal of 140 seconds. Evaluating the performance of a liquid propellant rocket engine is determined by the length of the total combustion time. On Tuesday, the Next Sat-1, a small satellite designed to carry out space observation, successfully lifted off from Vandenberg Air Force Base in California aboard the Falcon 9. 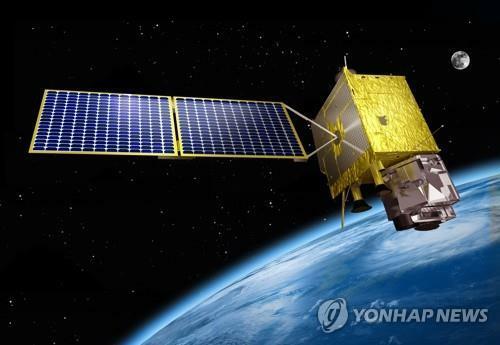 The 107-kilogram satellite, developed by the country's top engineering and science university Korea Advanced Institute of Science and Technology (KAIST) from 2012-2018, will measure space radiation and observe stars' infrared rays for the next two years. Just a day later, the country's first indigenous geostationary weather satellite, intended to enhance the country's weather monitoring system, successfully lifted off aboard a launch vehicle made by Arianespace from the Guiana Space Center in Kourou, French Guiana. "It is noteworthy that the satellite was developed with our own technology and without foreign help," Lee Sang-ryool, vice director of KARI, said. The satellite, also developed by KARI, is one of two follow-up satellites to the Chollian-1, the country's first geostationary satellite launched in June 2010. 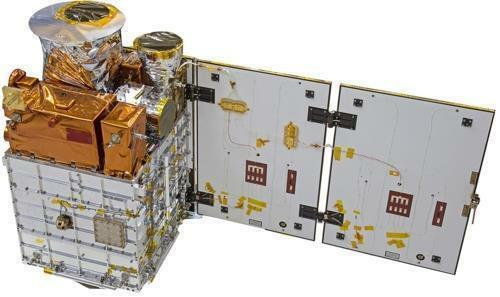 The new satellite will be able to gather weather images related to fine dust particles that are four times clearer than its predecessor, as well as collecting other information. The satellite will also deliver the data 18 times faster. The Chollian-2A contains a state-of-the-art meteorological imaging system that is as advanced as other foreign geostationary satellites, such as GOES-17 of the United States and Japan's Himawari 9. "South Korea has obtained an independent geostationary satellite platform for a 3.5-ton level with this successful launch," Choi Won-ho, an official from the Ministry of Science and ICT, said. "We will be able to provide various services by utilizing the main body of this satellite."